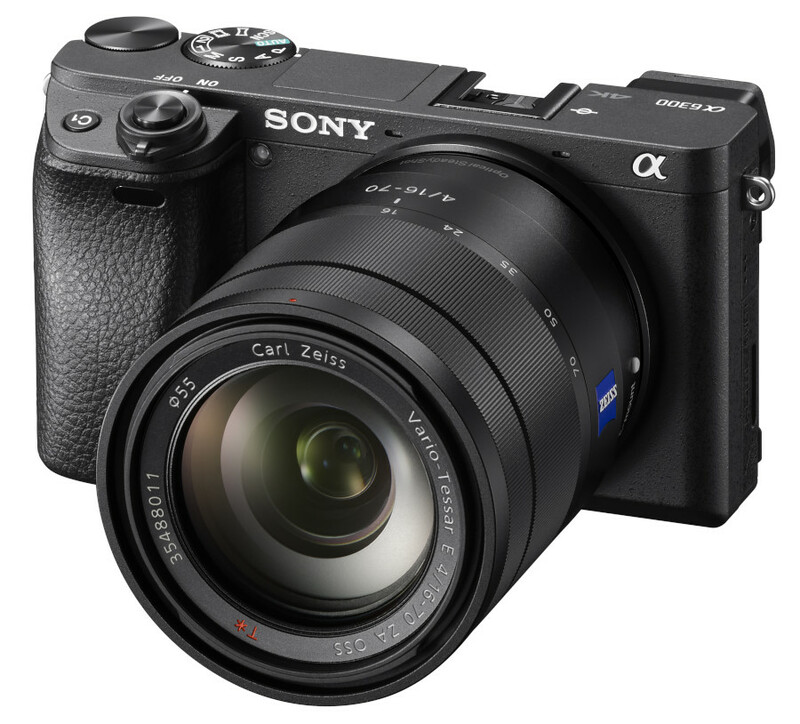 Sony today introduced the latest addition to their award winning line-up of mirrorless cameras, the α6300. The camera boasts an unrivalled 4D FOCUS™ system that can lock focus on a subject in as little as 0.05 seconds, the world’s fastest AF acquisition time[i]. Additionally, the α6300 has an incredible 425 phase detection AF points that are densely positioned over the entire image area – the world’s highest number of AF points on any interchangeable lens camera[ii], and can shoot images at up to 11 frames per second with continuous autofocus and exposure tracking. The versatile α6300 camera is equipped with a newly developed 24.2 MP[iii] APS-C sized Exmor CMOS sensor that works together with a BIONZ X image processing engine to produce outstanding image quality throughout the entire ISO sensitivity range ISO 100 – 51200[iv]. The new α6300 can also shoot and record high resolution 4K video with full pixel readout and no pixel binning in the popular Super 35mm format. Sony’s new α6300 camera builds upon the acclaimed 4D FOCUS performance of the α6000 model, utilising a Fast Hybrid AF system that combines high-speed phase detection AF with extremely accurate contrast AF and allows it to capture and lock on to moving subjects in as little as 0.05 secondsi. The camera’s High-density Tracking AF technology positions 425 phase detection AF points over nearly the entire field of view, allowing it to accurately focus throughout a wide area – even on small, fast objects that other cameras would fail to recognise. Of note is the fact that the camera’s 425 phase detection AF points, enhanced tracking and focus accuracy are all available on the α6300 when using A-mount lenses[v] with a mount adaptor like the Sony LA-EA3. This is a first for Sony E-mount interchangeable lens cameras with an APS-C sized sensor, as the only other cameras to feature this capability are the full-frame α7R II and α7 II models. Other enhancements to the α6300 include silent shooting functionality, the ability to use AF in focus magnifier mode, expanded flexible spot AF, Eye AF in AF-C mode and more. In order to maximise efficiency and overall camera performance, the α6300 features a new 24.2 MP sensor that is an ideal match for its BIONZ X image processing engine. The new image sensor employs copper wiring in its structure, which improves light collection efficiency and significantly accelerates readout speed. The BIONZ X processor features an upgraded image processing algorithm designed to maximise the sensor’s overall capabilities. Together, the two key components work together to produce images with low noise and exceptional resolution in sensitivity settings up to ISO51200iii, in particular in the mid-to-high sensitivity range. In another first for non-full-frame Sony interchangeable lens cameras, the new α6300 offers internal 4K movie recording in Super 35mm format. When shooting in 4K, the camera uses full pixel readout without pixel binning to collect 20 megapixels of information – approximately 2.4x[vi] (6K equivalent) as many pixels as 4K UHD and then oversamples the information to produce high quality footage with exceptional detail and depth. The camera utilises the XAVC S codec[vii] during video shooting, which records at a high bit rate of 100 Mbpsvii during 4K recording and 50 Mbps during standard Full HD shooting, ensuring maximum detail and clarity in both video formats. Additionally, the camera will focus approximately twice as fast as its predecessor during movie shooting thanks to its new and improved AF system. AF speed and AF tracking sensitivity are also adjustable for expanded creativity. Other professional calibre video features include the ability to record Full HD at 120 fps at 100 Mbps[viii], another first for α interchangeable lens cameras with APS-C sized sensors. This mode allows footage to be reviewed and eventually edited into 4x or 5x slow motion video files in Full HD[ix] (24p or 30p) resolution with AF tracking. The new α6300 also offers S-Log gamma recording[x] for wide dynamic range shooting – approximately 14-stop latitude in S-Log3 gamma setting – and supports S-Gamut for a wider colour space. Both options allow for greater creativity for processing video post-production. Aesthetically, the new α6300 camera features an extremely solid feel in hand thanks to its robust, magnesium alloy design. It can be customised to fit nearly any shooting style or preferences, with 9 customisable buttons that one of 64 different functions can be assigned to. The camera adds a digital level gauge as well as upgraded dust and moisture resistance[xi], a reinforced lens mount structure and a new shutter release button and mode dial with improved operability and grip.